Gardens are a fantastic way to add color and beauty to your home. However, what do you do if you don’t have room for a garden? Have no fear! 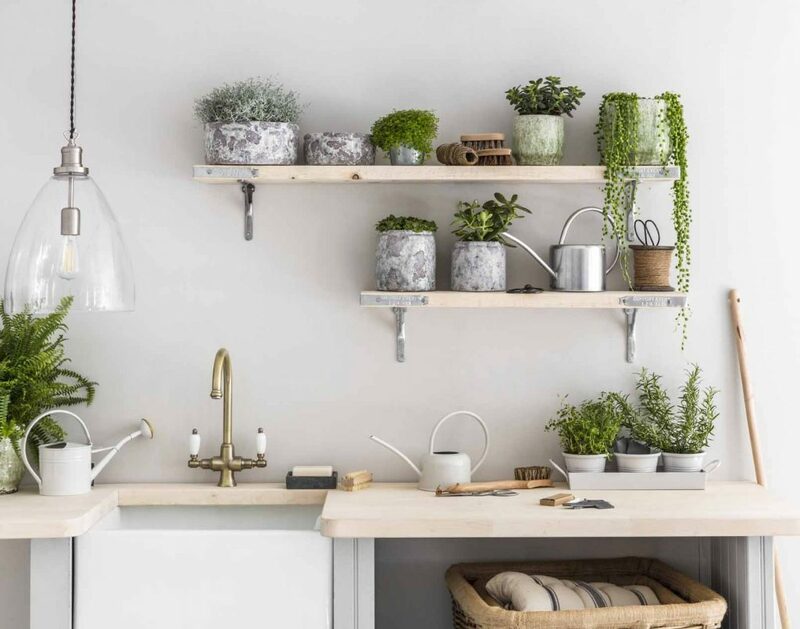 Whether you have a small yard, a yard with little sunlight, or no yard at all – you can still bring plantlife into your home. Consider creating an indoor garden as an alternative to a traditional garden. There’s no limit to how you can personalize an indoor garden space. Check out a few ways to cultivate your green thumb no matter how much outdoor space you have. Tabletop terrariums are an innovative way to showcase plants on a desk, windowsill, coffee table – wherever you like! Choosing the designs and plants that you love will bring a pop of color to your home in a low maintenance way. 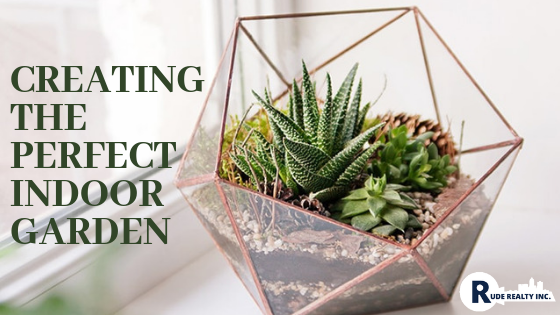 Use them with succulents or plants like a regular flowerpot or place an already potted bloom inside to have it function as a mini greenhouse. 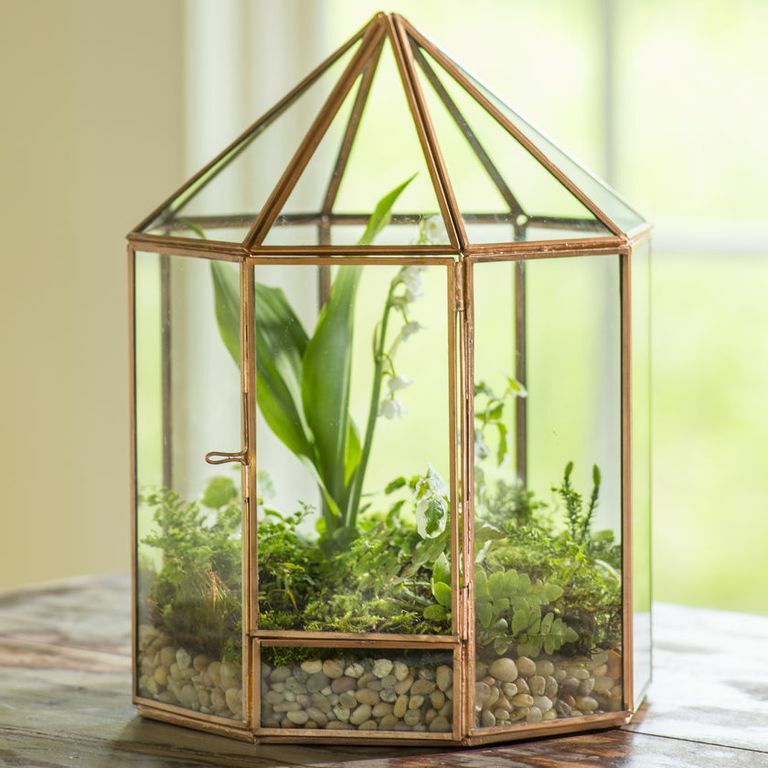 These simple glass terrariums come in a variety of shapes and sizes, allowing you to create your own unique setup. 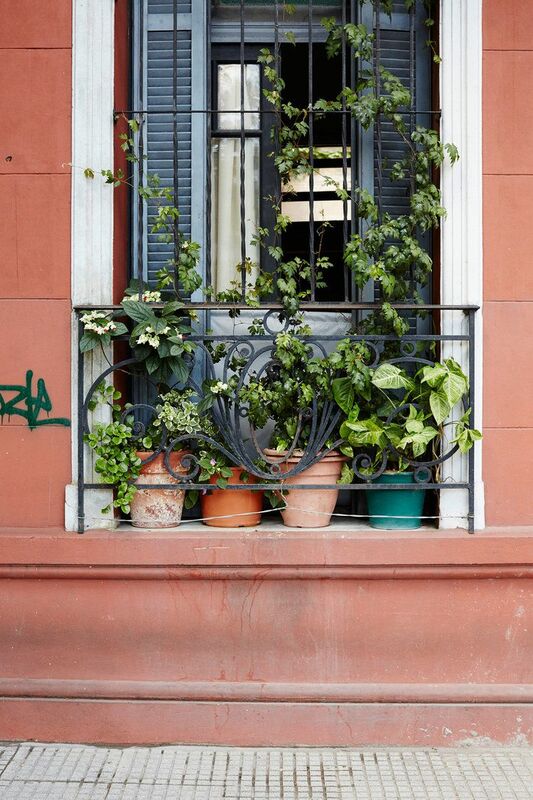 Window ledges both inside and out are a great spot for smaller plants. 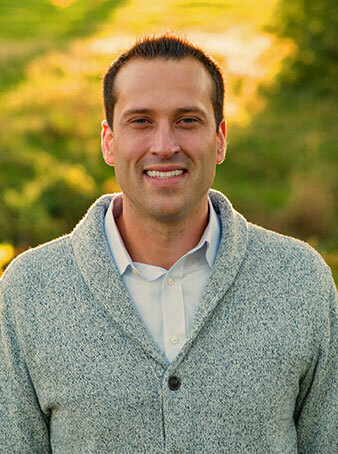 Not only do they instantly add to the décor, but the location will provide plenty of sunlight. Placing plants in the window sills are a great way to utilize space without taking over other areas. Can’t spare the counter or table space? 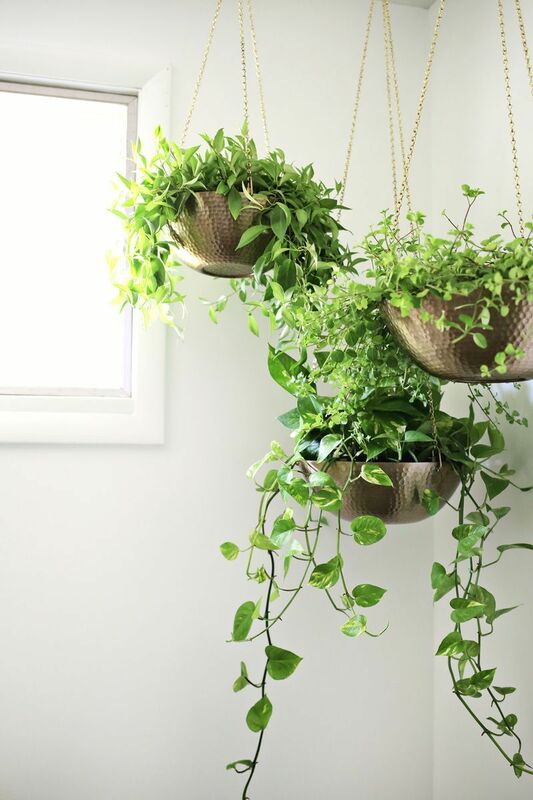 Go for a hanging plant! Hanging plants are a quick and easy way to integrate plant life without sacrificing space for other important objects. They can also make a room appear taller, as your eyes are drawn up to the plants. Be mindful of light. 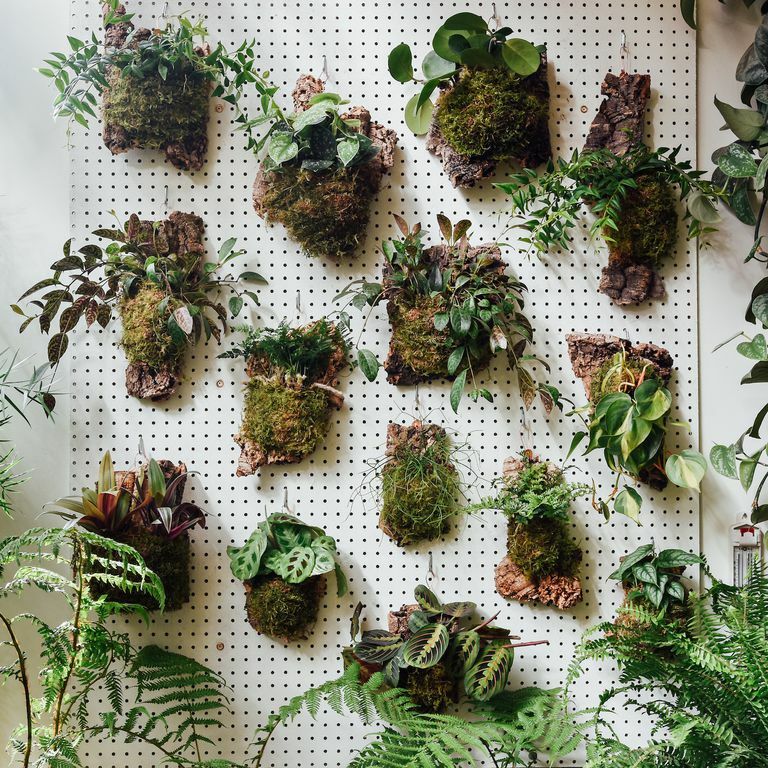 The plants you choose for your living wall will still need sunlight; so if the wall you choose doesn’t get much, you may want to choose a different one. Don’t select a wall too close to the AC, as this can affect the amount of humidity your plants receive. If you use multiple types of plants, be sure they all have the same needs regarding sunlight, water, etc. Don’t place them too close together. They will continue to grow as they are on the wall, so allow space in between for this growth to happen. Trees that can thrive indoors are a great way to bring a lot of green in at once. Because they are larger, you get a lot of plant without having to find a lot of spots for them to go. 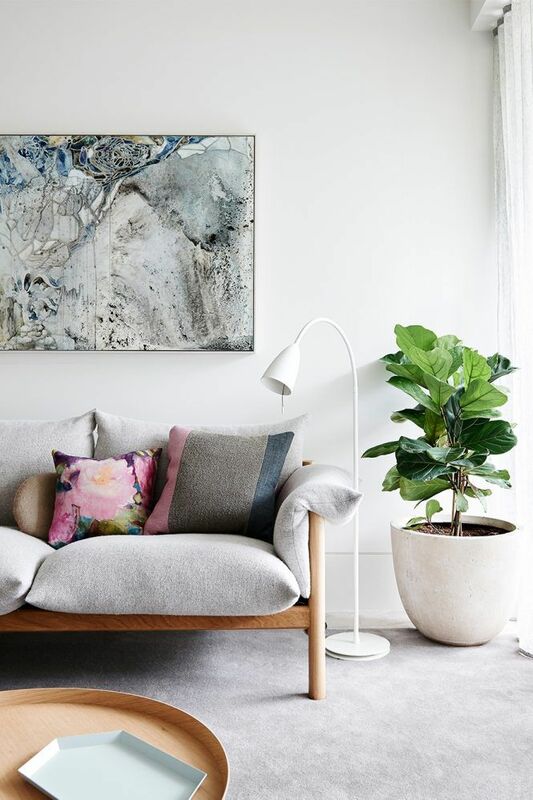 A few good choices include the fiddle leaf fig, parlor palm, rubber tree, yukka, and money tree. As with any other plants, be aware of the tree’s needs for water, sunlight, and humidity before choosing the right spot for it. Plants don’t have to live in one space in your home! Bringing them into each room of the house is an easy way to create the “indoor garden” feel; after all, one spider plant on the living room end table does not a garden make. Sprinkle greenery throughout each room for an instant greenhouse feel.